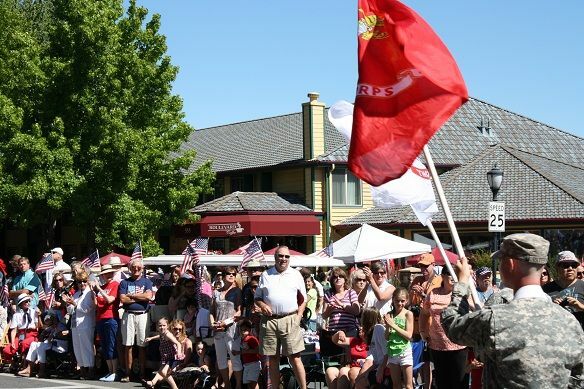 The theme for this year”™s Fourth of July parade here in Ashland was “Freedom to Learn”. The parade starts out as it has for many years”¦the F-15 Eagle fighter jets fly over downtown to awe the over 20,000 people who showed up. Although the weather was warm, it didn”™t stop locals and visitors from lining the streets of downtown to sit and enjoy the parade. 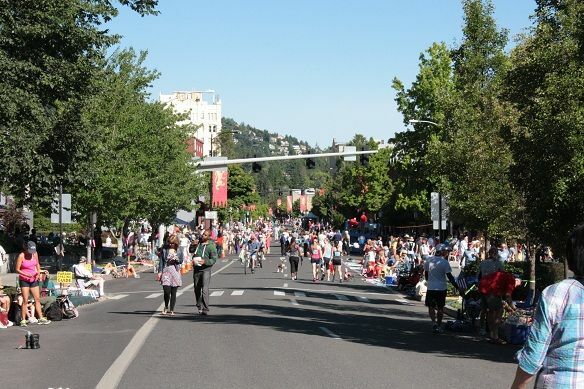 Once the parade was over, you could head to Lithia Park where there were tons of food, games, information booths, a craft fair and tons of entertainment. You could then top off the whole night by finding a great place to sit and watch the fireworks display that was put on by the Ashland Chamber of Commerce. The streets of Ashland fill up with locals and visitors who were excited to watch the parade go by. Over 20,000 people showed up to enjoy this local event! Outside Boulevard Coffee, the parade starts with everyone showing their pride for our great country. Inside Boulevard Coffee, the girls are hard at work making delicious treats. Outside Boulevard Coffee, we offered a variety of treats that could be purchased. Southern Oregon University is such a huge part of our community here in Ashland. 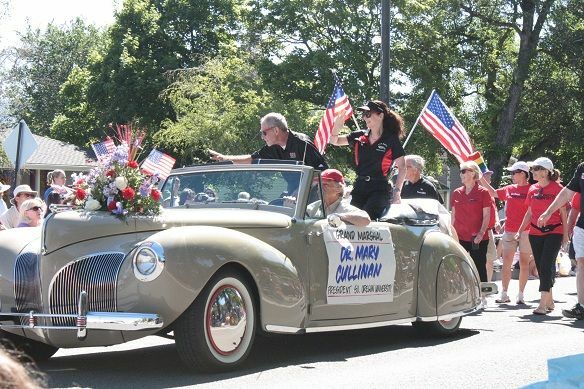 So why not have president of Southern Oregon University, Dr. Mary Cullinan, be the grand marshal! We are so proud of our Ashland City band and wow did they sound great! The parade includes something for everyone. 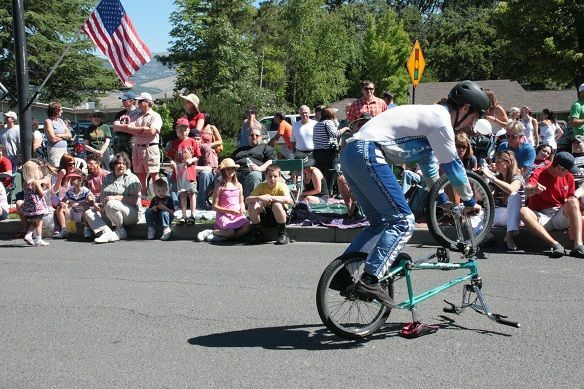 Like this man who performed a lot of cool tricks on his bike! 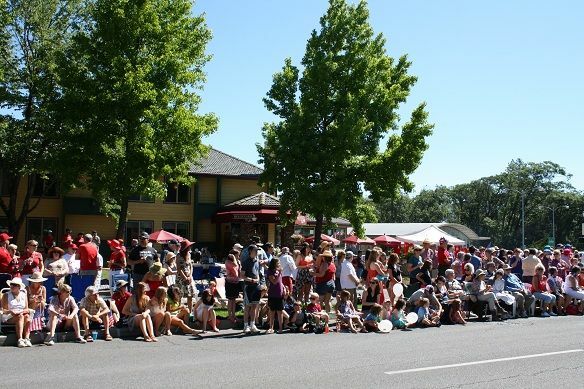 Even though it was hot out in the sun, everyone was here to enjoy this great parade! It is something you don”™t want to miss! Here in Southern Oregon, we are very serious about our high school sports. This is why we are so proud of Ashland High School”™s Football team. Go Grizzlies! Renaissance Rose is a very popular store on the Plaza here in Ashland. They are known for their wide variety of costumes and other collectables. 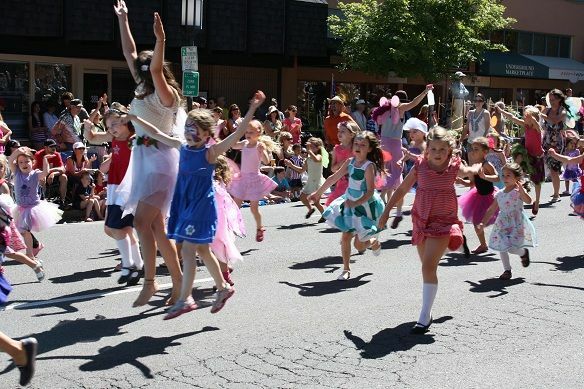 One of the great things about the Fourth of July parade here in Ashland is how family friendly it is. These little dancers are proof of that. 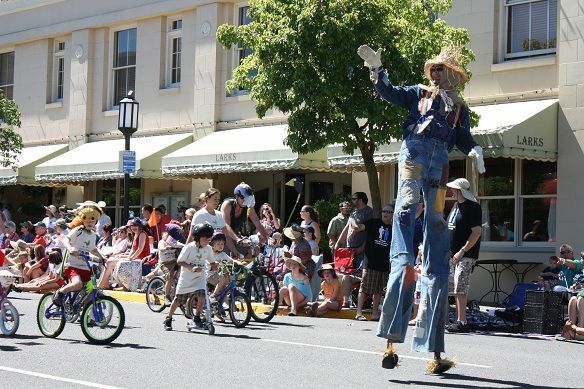 This tall scarecrow wowed the crowd! All throughout the parade, the lovely people at Boulevard Coffee were out providing treats and drinks to the parade viewers. 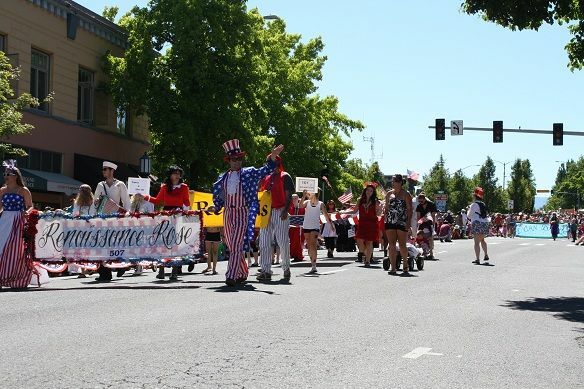 The Fourth of July parade here in Ashland is a treasured part of our city that adults and children look forward to year after year. Every year there is a new theme with new ways to entertain the crowd of people. 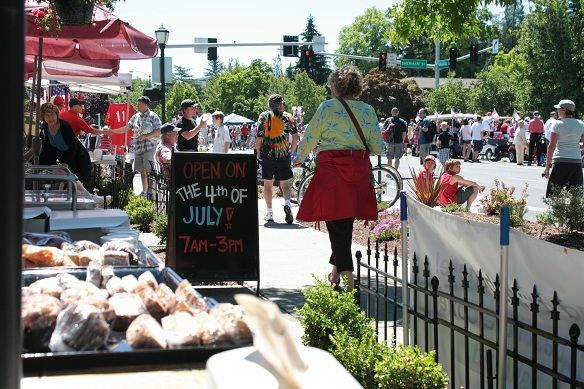 Ashland in and of itself is a beautiful place but it is even more beautiful when you see the people line the streets and enjoy in this event as a community. 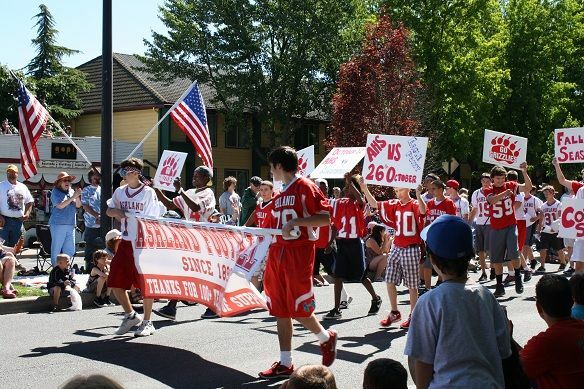 So whether you”™re a local or a visitor from out of town, the parade here in Ashland will make you feel like you are part of our wonderful community and will leave you with memories you will treasure forever!